This is a two day event, but broken up into two parts. You can come for just the day, or enjoy the weekend on the farm with a few meals added and access to camp and chill in the pond. Throughout the weekend, you will have an opportunity to explore the property and see how Frank utilizes the various fruits, nuts, and herbs that grow on the land. Saturday will feature various fermentation techniques that can be done year round and require less attention and ferment rather quickly. These techniques can be easily adapted by novice fermenters but advanced skill levels will also reap benefits from the information shared here. Here's a brief list of what to expect to learn and taste. 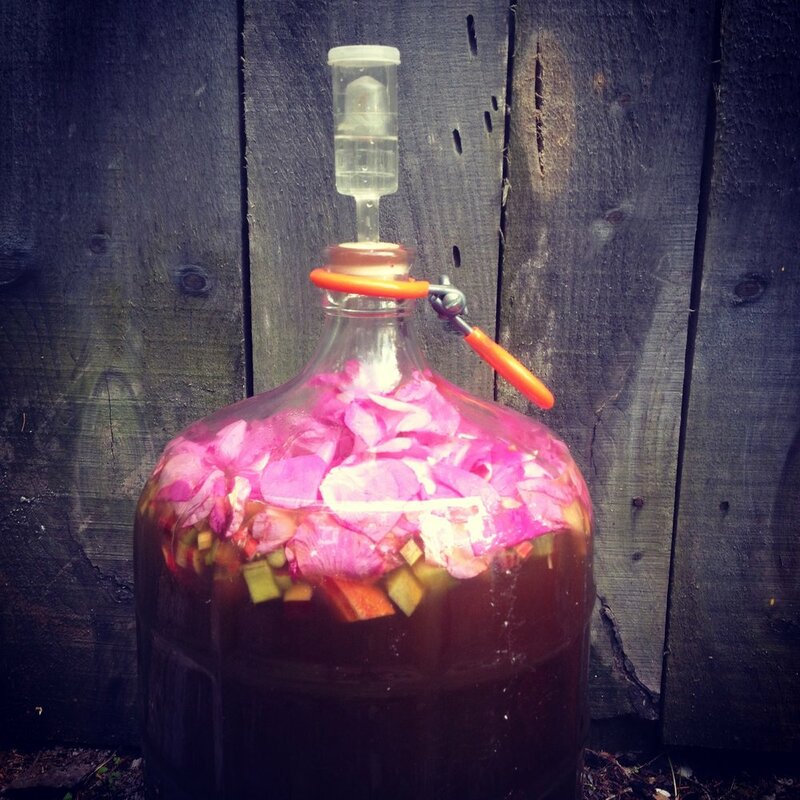 Sunday dives deeper into the world of fermentation with a focus on more long term ferments. In the case of miso, a year will be needed to create the unami rich condiment of Japanese cuisine. For those of you interested in home brewing, Frank will share how to create medicinal honey wine at home using fresh fruit that grows locally to you. For those of you who sign up, there is an opportunity for you to purchase a kit so you can take home what you learn here. Both classes are 11-4 pm and will include all recipes from the class, and a light lunch, and snacks. Camping optional for Saturday night. You can choose this option during registration below.